I remember the moment so clearly. I was a mom of three small boys ages 4, 3, and 1. It was a beautiful spring day so the boys and I packed up the stroller to walk down to our park. As the older boys ran and jumped and played, I pushed my giggling little guy on the baby swings. Not meaning to eavesdrop, but being too close to avoid hearing, I listened in on a conversation between two moms. While the one mom pushed her daughter in a nearby swing, her friend, frocked in a baby carrier that held a baby 3-4 months of age, lamented about being a mom. I listened as the two conversed about the challenges and sacrifices of being a mom. The inconvenience. The trouble. The bother. Lord willing, that woman’s little baby is now around 14 years old. I am thinking of them this Mother’s Day weekend. I’m wondering if that mom ever embraced being mom and wondering if that child feels like an inconvenience today. I hope not. I pray that parenthood has changed that young mom. It’s a big year for my oldest and a big year for me as a mom. My son turned 18 just a few weeks ago; he’ll graduate high school in a few short weeks, and then will begin his college studies. It’s all kind of surreal for me. As he transitions, so must I. The other day I was flipping through my oldest son’s scrapbook collecting photos for a graduation slide show. Everyone was out and there I sat, on his bed, crying as I flipped each page. They were tears of joy mingled with a bit of sadness. Tears of awe. Tears of thankfulness. Tears of gratitude to the Lord for the life he has given me, for the children He has gifted me with, for the time He has permitted. The time has gone by so fast. And now I am left trying to adjust my vision, adjusting it to see men, not boys. Maybe you are that mom today, the one who is overwhelmed, tired, and feeling a bit of a loss of self. Your days of Cheerios, dirty diapers, and sleep deprivation are difficult. You wonder if this thing called motherhood is worth is. Today let me be that somewhat older woman who tells you, yes, it is so worth it! Let me be the one to tell you that this season in life is full of challenges but it is such an important time. Let me say that parenting is hard but the calling is great. Let me remind you that the time will be a blur and in a few years, like me, you will be wondering where it went. Embrace the time. It was Mother’s Day two years ago. My mom had come to my home for dinner. We exchanged flowers and cards with one another. As I pulled my card from its envelope and read the inside, I paused. That’s my mother’s name. She had signed her card to me with her name, not mom. It was that moment…the moment that I realized that my mother no longer knew who I was. Since that time I have been going through the motions of mourning the loss of my mother. Although she is still with us in body, she has passed away emotionally and cognitively long ago. It has been a long, slow progression. Through the years her forgetfulness and disorientation have eventually given way to panic and fear as everything and everyone around her have transformed into strangers. Dementia has stolen my mother, has swept her away, has emptied her of everything but breath. Its arms hold her, not in comfort, but in prison. Dementia has snatched her sight and clouded her vision. It replaces the faces of loved ones with the visages of foreigners who are aliens in her land. Like a thief in the night, dementia comes and ransacks, raids, and pillages memories, names, faces. It drains motivation, will, and life leaving only the comfort of a wing chair, a wall, and a world of silence. Dementia has robbed the world of a mother, a grandmother, a friend, a co-worker, a neighbor. Dementia has taken so much from my mother…from us… and left behind so little. All that remains is a shell, a reminder of the life that once was. As I was working on this post, the Lord laid on my heart a little object lesson of sorts. It was a much needed reminder for me. I’ve always loved the ocean. There is a calmness in the sound of the waves, a serenity in the water lapping over your feet. The refreshing ocean breeze seems to infuse one with peace. My favorite moments at the beach are spent combing the sand for shells. I’ve always admired the colors and shapes of each one. They are little treasures that the ocean brings forth and the handiwork of the Lord. I’m always sure to bring home shells from each beach excursion we have. My prize find was a shell that I picked up on the Gulf Coast of Florida: a Lightning Whelk. While not large in size (it only fits within the palm of my hand), this shell is completely intact with brilliant colors and stunning patterns. I remember finding the shell tumbling in the tide. I snatched it up and ran to my family like a little child; I was so excited to share my treasure. As each of us was examining the shell, I explained to my then young boys how that shell had once held life within its curved walls. That shell was a beautiful home for a creature of the sea. But in the cycle of life, the creature either moved out in search of a larger shell, or most likely, was eaten or died. What remained was an outer shell, beautiful and vibrant, yet fragile and lacking life. That empty shell is much like my mom. Even though the mom that I have known continues to fade away, even though living life has been replaced with mere existence, there is still beauty to be found in the shell that remains. While my mom may no longer recognize my face or know me to be her daughter, I can choose to look past that and opt to remember the life that once was and try to honor the life that still is. 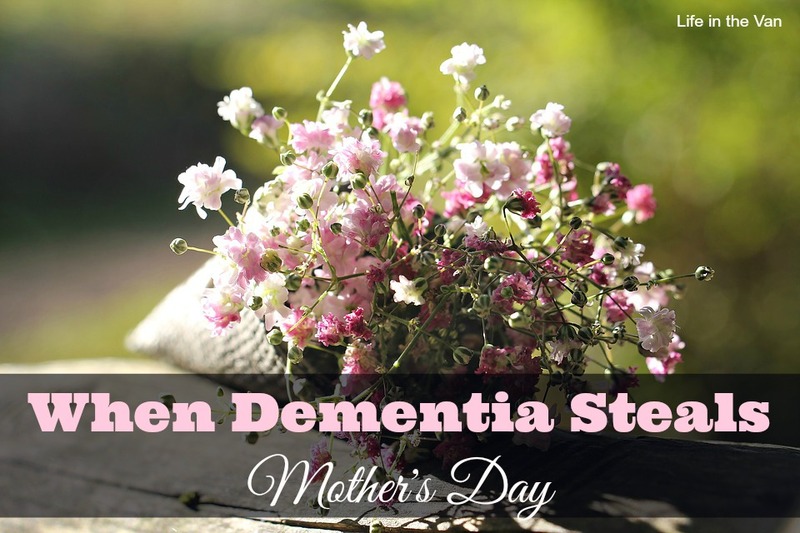 So this Mother’s Day I will choose to not allow dementia to steal the day. I will allow it to remind me that all life is precious, that all life is important, that all life has purpose. I will use it to remind myself that my mom is a child of God and that He loves her dearly. I will hold fast to the knowledge that dementia doesn’t take Him by surprise. I remember having a conversation with a college friend about what our future plans after graduation were. I wanted a big city job, with a big city paycheck, and big list of accomplishments. I wanted to dress in my tailored suits, carry a briefcase, commute to New York, and have the corner office. Married life was not a priority, and the thought of being a mother was not even on the radar. My post-graduation job search proved to be difficult, and I found myself working as a teacher’s aide in a local elementary school. Working with children was quite a departure from the corporate ladder I thought I would quickly ascend, but nonetheless, it was providential. Those little kiddos began to soften my heart. I mean, how could they not, especially when they call you mom by mistake! Despite the school’s request for me to work into the next school year, I pursued a full-time job elsewhere, securing an entry level job in Human Resources with a prominent investment banking company. This certainly seemed more my speed. I hugged her, and tucked her challenge away. My new job provided me with exactly what I wanted. I rubbed elbows with some pretty important executives, had the opportunity to work on Park Avenue in New York City. I wore my suits, sipped my expensive coffee, and took the elevator up to the top floor. I also got a taste of the not-so-savory aspects of work: power hungry colleagues, down right nasty bosses, and a cutthroat environment that pointed fingers, shifted blame, and beat people down. I was offered a significant promotion and turned it down. I feared that if I accepted the position, in time, I would grow callous and cruel like the people around me. I remembered those little people and their little notes and their little hugs. It was at that time, I opted to leave my current company and move to a smaller business outside of the city. By this time I was married. My husband and I began to talk about our future plans. Lord permitting, we agreed that we would love to start a family. Then, the big question came. “What do you think about staying home with the kids?” After much discussion and prayer, we decided, and felt led, that I would stay home and raise a family. However, I was not pregnant at the time, so I tucked that commitment aside and continued on as normal. I was enjoying my new job. I had my own office. Liked the work. Had a great rapport with my colleagues, yet I couldn’t help acknowledge the growing realization that I was feeling very unfulfilled working in corporate America. Those little kindergarten kids kept coming to mind. “Get your teaching certificate and come back here to student teach. I’ll be your mentor. You should be a teacher.” I could not get it out of my mind. My husband and I began to pray for direction. Again, I came to another crossroad. The director of my department offered to promote me to the position of Assistant Director at a neighboring facility. This was kind of a big deal. I was pretty young, and I imagined that with time, I would have quite a bright future here. I also saw that with a bigger paycheck and more prestigious title came longer hours, more responsibility, working from home after hours, and being on call to handle problems. Again, my husband and I prayed. Our answer was clear. I not only turned down the promotion, but I put through an application to attend a local college to begin Master’s work and the process of obtaining my teaching certification. I approached my boss and told him my plans. He was surprised, but encouraged me to go for it. I was still able to work until the point where student teaching came around. And when it did, I knew exactly who to call. It was all arranged; I would be student teaching in my old school, with my old friend. After the first week of school, I was given full reign and responsibility over the class. I kind of questioned that, but my friend and mentor assured me that I would get a student teaching experience like no other. She knew me, had watched me work, and had no reservations about putting me in the driver’s seat. I became the teacher in every way, every day, every hour of the school day. I had a new crew of little people, and my heart was full. 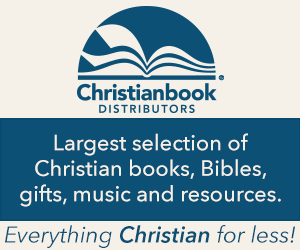 Again, providentially, the Lord had placed me in that classroom at just the right time. My mentor’s mother grew ill and eventually passed away. Her time away from the classroom was significant. I was literally handed the reins of the classroom and was flying solo. I approached my principal and questioned if I should be on my own. He looked at me and reminded me that if he was comfortable having me in charge, then I should be comfortable being in charge. That’s all I needed to hear. Like I said, I had a student teaching experience like no other. When my college advisor came to evaluate me in class and talk with my cooperating teacher, she confirmed this. I remember her telling me that most student teachers are never given free reign, that they rarely have the support network I had from my cooperating teacher, the principal, the secretaries, and fellow teachers. I was truly blessed. I could clearly see the hand of Lord in all of this. He had put those little people, with those little notes, and their little hugs into my life years ago for a reason. They chipped away the stone around my heart and made it more receptive to what the Lord’s will was for my life. As my student teaching time came to an end, my cooperating teacher had set up several evaluations for me. She was determined to get me a job within the district. I had a string of township principals in the classroom to watch me teach. I did secure a long term substitute position in the district, and continued there until the end of the school year. I would then turn my attention to finding a full time teaching position somewhere for the next school year. I sent out a slew of resumes and received one rejection letter after another. Then I received a phone call from my mentor. The second grade teacher in her school, whom I knew, had a daughter who was the librarian in a neighboring school. There was a first grade teaching position open at her school. I was instructed to promptly get my paperwork together and get it over to her right away. From there she would pass it along to the second grade teacher, who would then send it to her daughter, who would then give it to the principal. I did as she instructed. I wasn’t expecting much. But in short time, an interview was arranged, and then a demonstration lesson with the class. My mentor would stand by my side, look over my lesson plans, make me practice my lesson on her. She’d encourage me, help me put together a portfolio, and would be my biggest cheerleader. In the end I was offered the position. I truly could not believe it. This was an incredible school in a distinguished district and they took me, a newbie with little to no experience. Only through the Lord did this happen. Looking back on it, I could see His hand connecting the dots, lining things up, making His plan for my life reality. So as the school year closed out, and I completed by substitute roll, I turned my attention to getting ready to have my own classroom. I had an appointment with my superintendent and my principal in two weeks to go over my salary and benefits, and then to sign my contract. The pieces were all coming together. I was beyond excited. My husband was thrilled. The Lord had truly done a huge work on my heart over the course of six years. He had taken me to the place I thought I wanted to be, the corporate world, allowed me to get a glimpse of what He really wanted me to do, work with kids, and now, provided me with a wonderful job. What would He do next? Well, the Lord was ready to shock my husband and I with something quite unexpected. Something that would really test us and the commitment we had made.